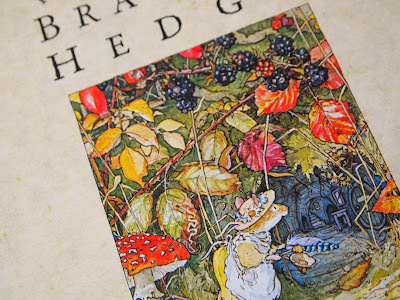 At the charity shop I volunteer at I recently stumbled across some Brambly Hedge videos for my dear friend who just adores the little mice. Luckily Simon could convert them onto DVD for me, which meant I managed to send her a little package just before she moved to her new home. The general consensus is that nobody wants videos these days – nobody still owns a VHS player and videos are simply something of the past. My charity shop has been swarmed with unwanted videos, and have had to start turning large lots away, because we simply cannot shift them anymore. Over the past month we have had to start taking them to the tip and recycling them, so the selection we have on the shop floor is usually only ever say 10-20 tapes at a time, so to stumble upon the Brambly Hedges ones was quite a lucky find! When I was there last week, another video captured my eye – Romeo & Juliet, I adore this film and have seen it countless times, but it still pulls at my heart strings. What intrigued me more was the beautiful box and contents. The limited edition pack contains a 35mm film cell, collector cards and a 1999 calendar, aswell as the feature film. I know it’s a little outdated and Romeo & Juliet is so 90s, but I couldn’t help but fall for this rather sweet ensemble. Oh that's amazing, Alice! Bet you the film cell and cards are still quite collectable even now. 15p even for the extras is pretty amazing! Haven't seen R&J for years and have never seen Brambly Hedge animated but I used to love the book illustrations, they were so detailed. I cannot believe they cost 15p all together! 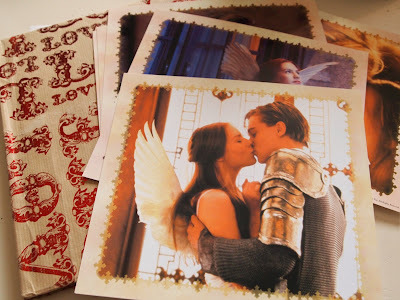 I love Romeo and Juliet, Kissing You was very nearly one of the songs at our wedding. Our local charity shops flog VHS tapes in bundles, 10 for a pound and the likes. It's really crazy when you think about it! People would have paid good money for them back in the day but now they are totally obsolete! It makes me wonder what we'll do when the DVD gets kicked out the door for something even more compact, as we do have a LOT of DVDs! Oh, I wish I could visit the shop, I would buy the videos! We still have our TV with the VCR from goodness knows when, I don't think we'll ever get rid of it :) Loveeee Romeo + Juliet!